Dealing with grief and the act of grieving is very personal and should not be put into a one size fits all approach. We will all experience loss at some point in our lives or needed to comfort someone who has lost a loved one or a beloved pet. The death of a public figure, someone that was admired, idolized or revered can also lead to a feeling of intense loss and grief. The breakup of an important relationship, retirement, and a career-ending injury are also important losses that can lead to emotional distress and overwhelming feelings of grief. At Ayre Counseling we can help you through your most difficult hours of grief with a supportive and compassionate approach and meet you wherever you are in your grieving process. We can help you understand how your loss is impacting your daily life and others around you. 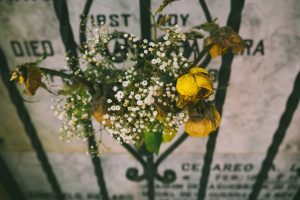 Grief of what is no longer possible after a loss can lead to depression, anxiety, and harmful physical conditions. We will help you validate your feelings and help you find a healthy path to healing. Call Ayre Counseling today for a complimentary consultation. Instead, try opening yourself to grief . . . Remember that grief never asks you to let go of love. Read more about how therapy can help you cope with grief.